Pioneering the use of high-performance, plastic optical fibers to deliver data at the speed of light, Chromis is filling the need for economical, high-bandwidth, short-distance data and video links for data centres, professional A/V, consumer electronics and other high-performance computing applications. Chromis also produces specialty optical fibers and custom cables for medical, industrial sensing and a variety of other applications. Our core technology is protected by over a dozen U.S. and foreign patents and patents pending. Our New Jersey-based engineering and manufacturing operation has been pioneering optical fiber technology for more than 20 years. It all started at the legendary Bell Labs, where our company founders developed a patented process for making multi-gigabit/s fiber—GigaPOF ®—out of plastic. Made from an extremely transparent optical polymer with a graded refractive index that enables the fiber to support very high data rates—GI-POF makes it economical and simple to create high-speed data links, such as our GigaPOF® active optical cables. Instead of the expensive cleaving and polishing familiar to glass fiber users, Chromis GigaPOF® enables inexpensive termination and passive alignment to optical engines. With our patented manufacturing technology, we can produce GigaPOF® at high production rates directly from bulk materials. This not only makes GigaPOF® less expensive to produce, but it also allows much shorter development times for new types of GigaPOF®. With a history of innovation spanning more than two decades, Chromis is the leading provider of high-bandwidth, low-attenuation, tight-bending GigaPOF® graded-index polymer optical fiber, bulk cable and active optical cables. Proudly engineered and manufactured in New Jersey, you can find our patented technology in thousands of advanced products worldwide. Chromis doesn’t deliver “me too” products. Our patented GigaPOF® polymer optical fiber technology ensures superior performance today and well into the future. 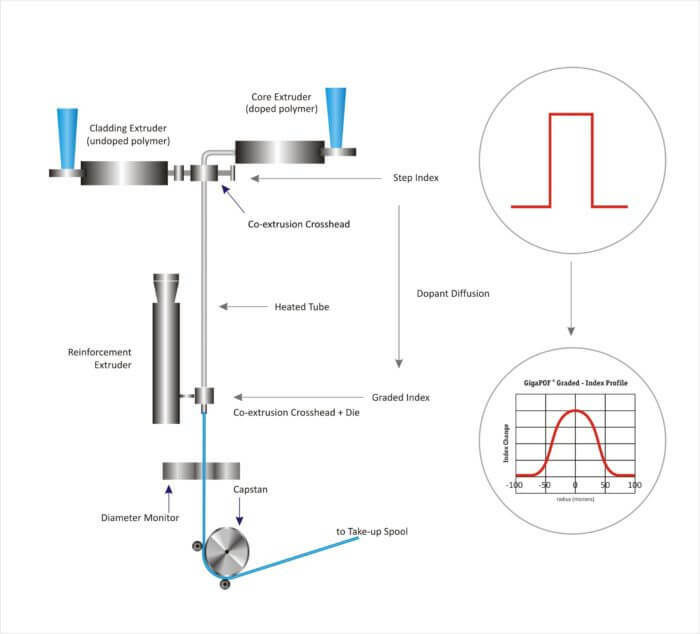 Standard glass fiber is susceptible to fracturing and can degrade over time, compromising your system’s long-term performance. 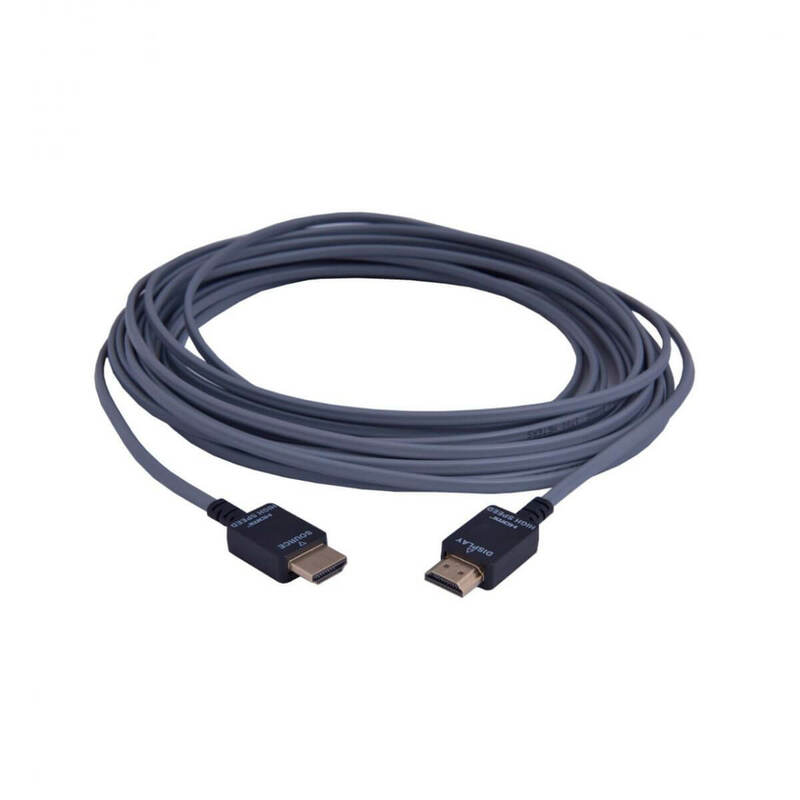 Chromis cables are immune to micro-fracture fatigue and will perform even under the harshest conditions. Simply put, our products create an audio-visual experience unlike any other. 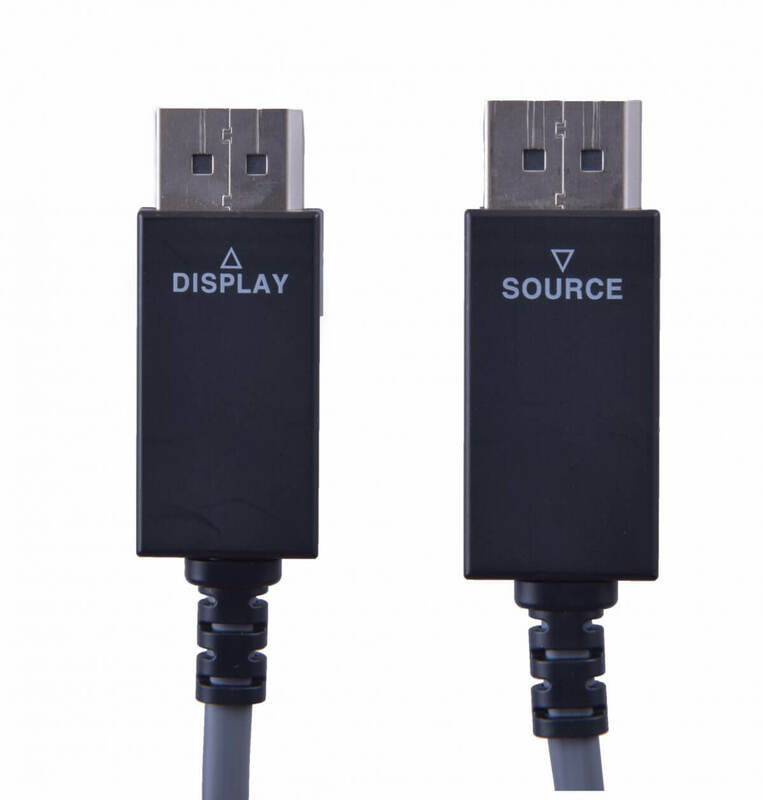 In the past, installers wanting a simple way to connect HDMI sources to displays over longer distances—10 meters (33 feet) or more—have had limited options. Long passive copper cables are thick, heavy and inflexible, making them difficult to pull through tight spaces. Copper cables using active electronics for signal processing reduce the bulk but still top out at fairly short lengths. 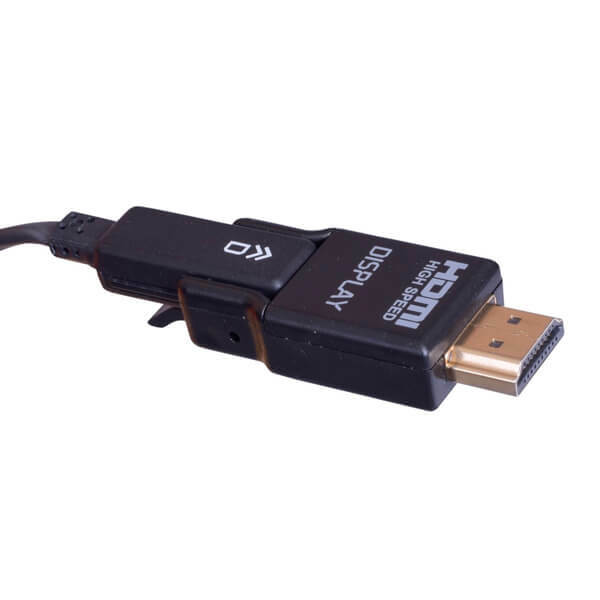 The typical solution for longer HDMI links has been a complex combination of extender boxes and network cabling, requiring field termination, and ongoing maintenance headaches. 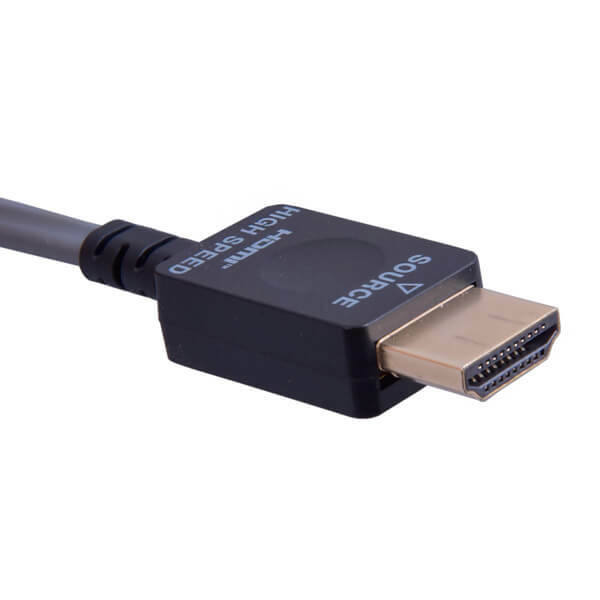 Chromis GigaPOF® Procerus4K Series 18Gbps HDMI active optical cables (AOC) have passed the rigorous testing required to earn the DPL Labs Seal of Approval. Procerus4K delivers 18 Gbps of data transmission for uncompressed UHD / 4K @60Hz (4:4:4) HDR video with low power consumption and minimal EMI/RFI in a simple, easy-to-install, plug-and-play package. 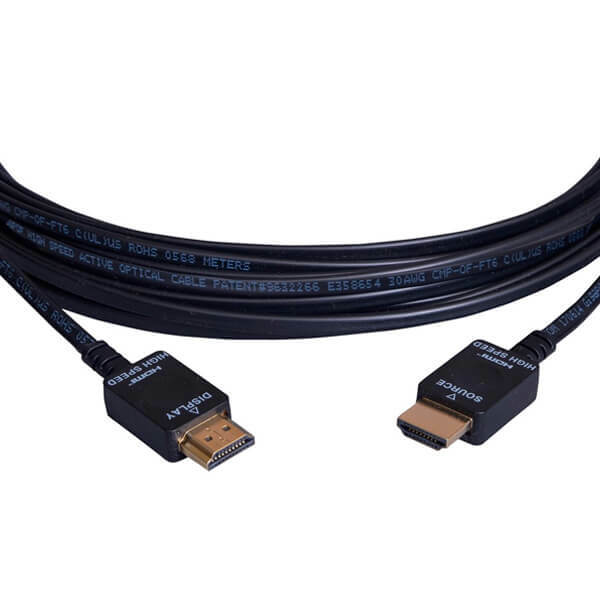 Chromis GigaPOF® Amovilis4K Series 18Gbps HDMI active optical cables (AOC) with detachable connectors provide easy installation through conduit and other tight spaces, without requiring external power. 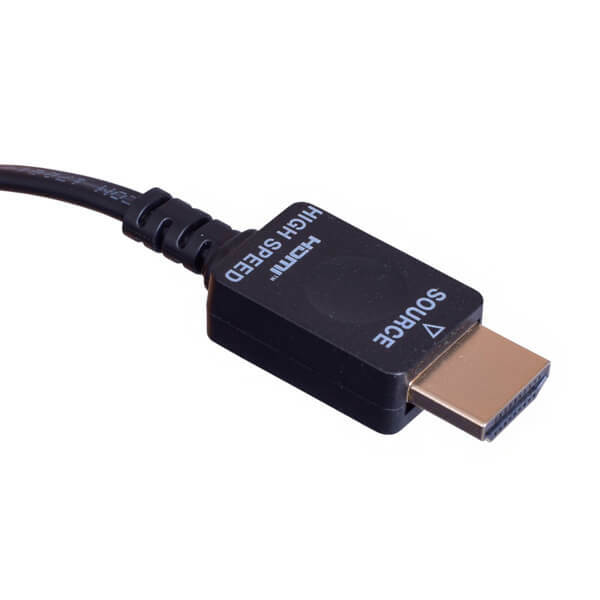 Amovilis4K supports true UHD / 4K @60Hz (4:4:4) HDR video resolutions, for systems supporting HDMI 2.0. 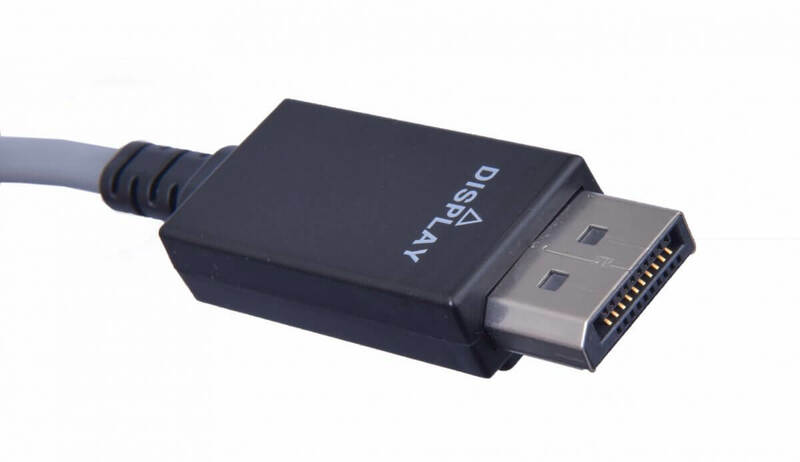 Chromis plug-and-play, hot-swappable GigaPOF® DisplayPort active optical cables (AOC) are the best solution available for true 4K/60Hz/4:4:4 content delivery over longer distances. 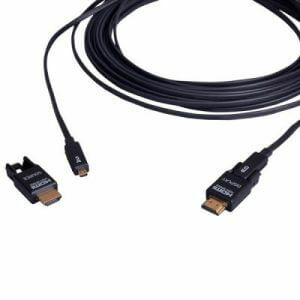 Take full advantage of high-bandwidth video transmission, low power consumption, and low EMI with our patented polymer optical fiber technology.